In the USA both Staples and Best Buy will have Microsoft’s Surface for sale online from today but customers wanting to have a feel and play with the tablet convertible will have to wait until Sunday unless they are lucky enough to be catered for by a bricks and mortar Microsoft Store. In Australia Harvey Norman and JB-HiFi are purported to be the first high street retailers to stock Surfaces. Due to the Surface only being sold at Microsoft’s own physical and online stores it has been hard to get independent estimates of the sales success of the tablet so far. It will be interesting to see how it fares on a shelf next to competing tablets, convertibles, laptops and hybrids including other Windows devices and of course iOS and Android machines. Microsoft’s Panos Panay said that Surface production has been increased and that public reaction has been “exciting”. Concerning the tablet’s distribution, Steve Schueler, corporate vice president, Microsoft Retail Sales and Marketing, said “Our plan has been to expand the retail presence for Surface after the first of the year. Based on interest from retailers, we are giving them the option to carry Surface with Windows RT even earlier.” These statements imply a decent level of success. Will you be able to enjoy this experience in PC World or John Lewis "in the coming months"? For UK residents there isn’t much in this press release to indicate any high street presence for Microsoft’s Surface coming shortly. 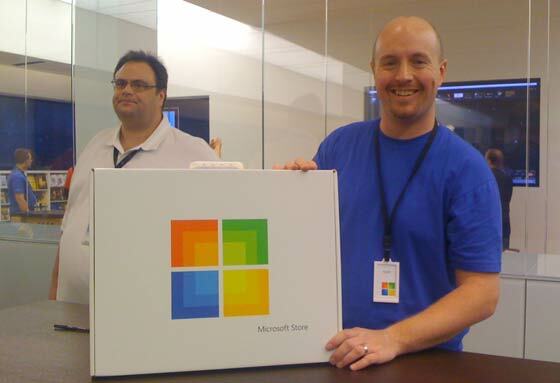 However the UK is supposed to get Microsoft Stores in 2013 if the US ones perform satisfactorily. 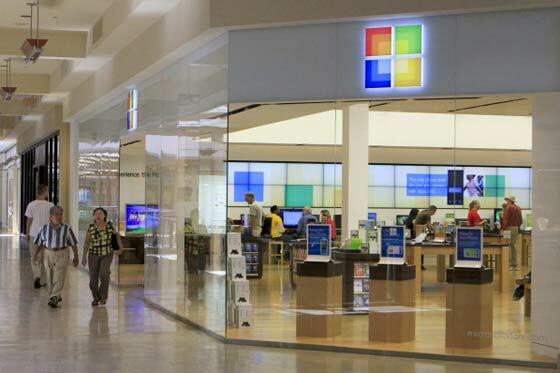 Indications are that the US stores are doing well, as Microsoft said in this retail news press release that several holiday retail stores will be extended and that some will become permanent Microsoft retail outlets. So current sales might be only touching the surface?? Why would you have restricted the number of outlets selling a key piece of hardware in the first place. Wish Microsoft hadn't so blatantly copied Apple on this. The clean woods, Blue teeshirts and glossy floor just *stink* of Apple Store. If it were just that, I'd also compare it to around 50% of mobile phone shops. Sadly the similarities go a little further/deeper. yeah I agree to. the only comp/gadget store that comes to my mind with a different set up was razer's.